Get motivated to move more, eat better, and live a healthy life. The Gear Sport tracks your fitness and diet, keeping you on the right path to reach your goals. It�s as stylish as it is functional. Change the look of your Gear Sport with a wide range of different straps and watch faces. Whether it�s the sporty Hybrid Sport, the timeless Classic Leather, or the casual cool Premium Nato, there�s a style to go with your look. Samsung and Apple compatible Available with more devices than ever. 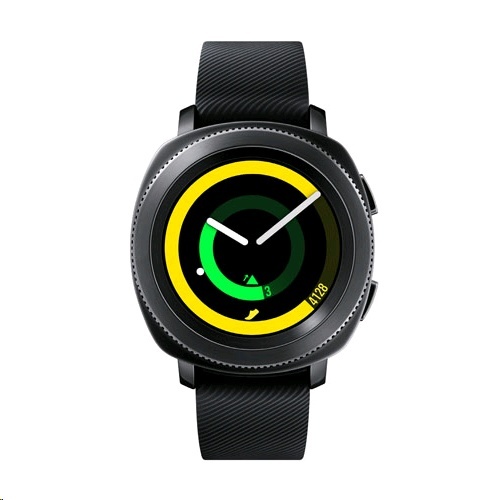 The Gear Sport will work with compatible Samsung or Apple smartphones, so you�ll be able to receive notifications and track your fitness right from your wrist.